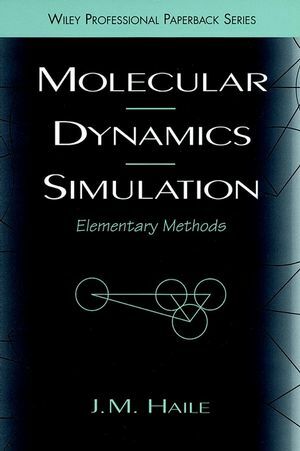 Written especially for the novice, Molecular Dynamics Simulation demonstrates how molecular dynamics simulations work and how to perform them, focusing on how to devise a model for specific molecules and then how to simulate their movements using a computer. This book provides a collection of methods that until now have been scattered through the literature of the last 25 years. It reviews elements of sampling theory and discusses how modern notions of chaos and nonlinear dynamics explain the workings of molecular dynamics. J. M. HAILE is Professor of Chemical Engineering at Clemson University. His research activities are in the areas of molecular dynamics, thermodynamics, and the use of computer simulation techniques to determine thermodynamic and transport properties of fluids.